No one ever knew what she looked like. All we know is after Burgundian soldiers burned her village to the ground, she started hearing voices at 12. God commanded her to drive the English out of France so the Dauphin Charles VII could be King. The only way she could get to Court to convince Charles to let her lead the French army was to pass through Burgundy wearing a male disguise. Jeanne d’Arc cut her hair, donned male armor, turned the Hundred Years War from an inheritance battle between royal families into a religious cause, and lifted the Siege of Orléans in 1429. Charles VII became King. Then the English captured her, put her on trial, forced her into a dress, and burned her at the stake in 1431. She was 19. 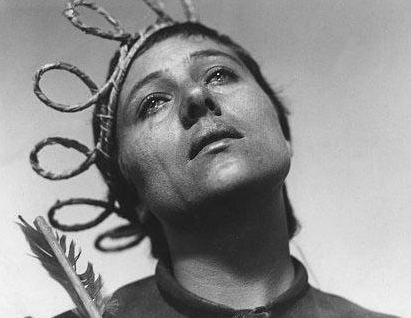 In 1928, Carl Theodor Dreyer directed “La Passion de Jeanne d’Arc,” where Maria Falconetti gives one of the greatest performances in film history. 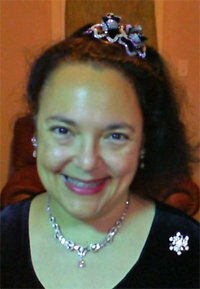 For me, with her crown of twine, this was Jeanne. 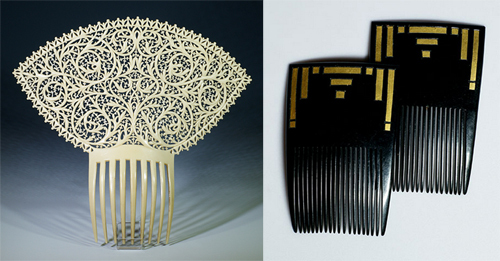 But France was in the midst of an aesthetic revolution. Movements co-opt extraordinary people into their own mind boxes. 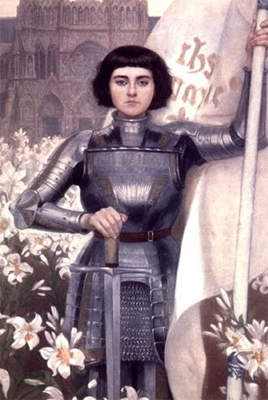 In 1895, Art Nouveau was starting, and Alfred Lynch painted one of the most famous imaginary portraits of Jeanne D’Arc. In 1909, as Art Nouveau was turning into Art Deco, this painting might have given hairdresser Antoine of Paris an idea. He credited Jeanne d’Arc with its inspiration. The bob liberated women from long hair the year before Coco Chanel started her first hat shop and later liberated women from the corset. 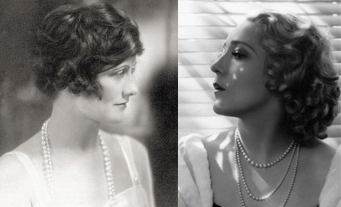 How sophisticated, confident, and independent Chanel and Mary Pickford looked in the 1920’s. Jeanne d’Arc was a military genius, a Royalist, and a Catholic with religious fervor that outdid the Inquisition. As France celebrates the 600th anniversary of her death, I wonder what she would think of all this. For more scholarly research, please examine the publications of The Creative Museum and these books, which have been added to our Resource Library. 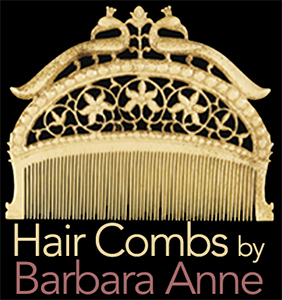 Thank you Barbara for a very interesting posting – I love the combs ! You are most welcome. Thank you for the wonderful compliment. Best!